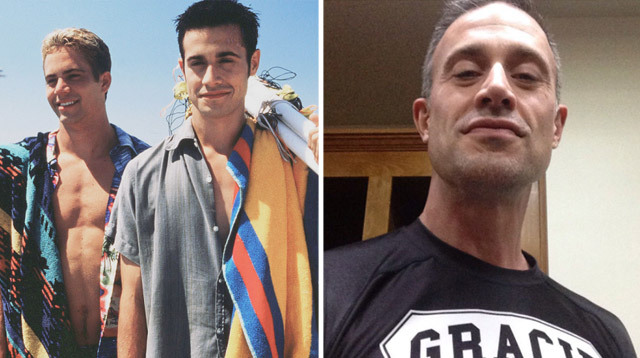 If you were born in the '80s or '90s, you are obsessed with perfect film, She's All That, and you're also obsessed with the adorable friendship of co-stars Freddie Prinze Jr. and the late Paul Walker. On what would have been Paul's 44th birthday, Freddie sat down with Us Weekly to discuss his beloved former co-star. He talked about the time Paul came in to audition for the iconic film, and Freddie helped him get the role and also get a bump in salary. "When Paul came into audition, I didn't have cast approval, but I had what they called consultation. I knew Paul was the right guy, and when he finished the audition, I asked if I could excuse myself to go to the bathroom," the Star Wars: Revels actor recalled to Us. "I ran outside where his car was parked. I said, 'Hey man, you're gonna get this job.' They didn’t pay us anything. It was a small movie. [I said], 'They're gonna offer you $25,000, they have $75 in the budget. Don't say no.'" Freddie also shared that he didn't know that the salary advice meant much to Paul, but he learned later that it had made an impression. "I heard, years later, after he passed away, that he had told his brother and his mom that story. To hear that, that meant a lot to him to share that. I loved that there was still that connection there," he said. "As an actor, you don't want guys to suffer if they don't have to. Right? You're like, 'Dude—you got the part!' He was a good dude." Do you hear that sound? It's the sound of a million people saying, "Awww..."